Mike and Michelle Nemee take their last stroll up the 18th fairway at their beloved Trinitas Golf Club – a special place albeit a golf course and olive tree orchard in the foothills northeast of Stockton, California. This was truly “a field of dreams” that sadly closes a chapter, but not the story for this remarkable couple. Even the best dreams don’t always have happy endings, at least in the short term. In early May I received an unexpected call from my friend Mike Nemee. Nemee and his wife Michelle had truly created golf’s “Field of Dreams” in a pastoral setting about twenty minutes northeast of Stockton, California in a place called Calaveras County. The conversation was briefly solemn; the Nemee’s would be forced to close their highly acclaimed Trinitas Golf Club at the end of May. Nemee had invited me to join him and a few dozen other friends to play one last round and bid the whole property a sunset farewell. At a time when many golf courses simply don’t make any economic sense anymore and are forced to close, Trinitas had beaten all odds with its remote location and had become a destination golf experience; it was covering its expenses though no one was getting rich off of it. 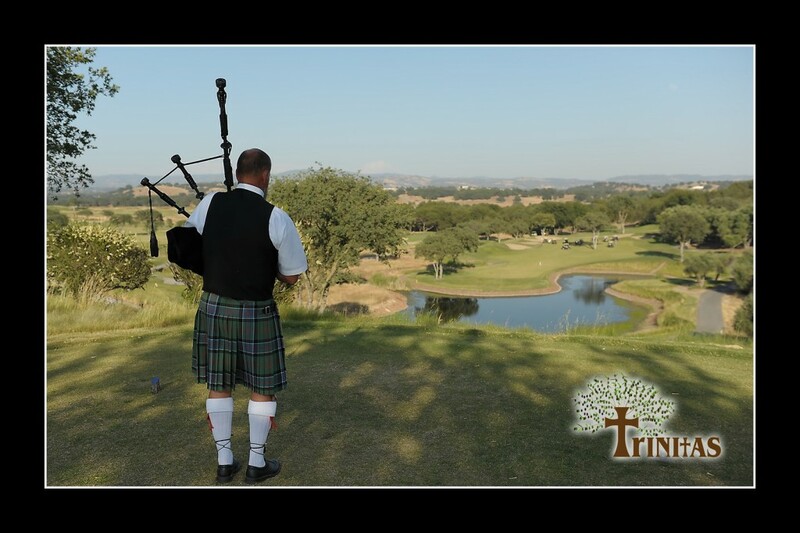 At Trinitas, it would not be unusual to find golfers from Arizona, Southern California, Idaho, or the Pacific Northwest in addition to the local area playing it. Contrary to the industry trends, Trinitas was gaining customers and was surviving – the good word was out. 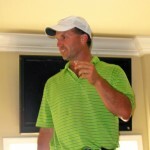 Last year Nemee estimates this special golf experience brought about 20,000 visitors to the impoverished county. The twist in the story is that Trinitas was put to sleep on June 1st at the hands of some angry county leaders bent on its destruction – they refused in a 3-2 vote to issue the required permits and the Nemee’s felt denied due process. Trinitas started out in storybook fashion. Picture a dreaming entrepreneur of average means in his late twenties acquiring an expansive piece of farmland in Calaveras County with virtually no debt. The young man dreams of building a world-class golf course and is supported by his loving wife. More experienced people would have judged the youngster to be downright loony, but the imaginative Nemee had an innovative business plan and a hankering to design the course himself. The process took years as the Nemees lived frugally out of a portion of the course’s maintenance building. Inspired by the couple’s faith, they named the property “Trinitas” and it opened in 2008. 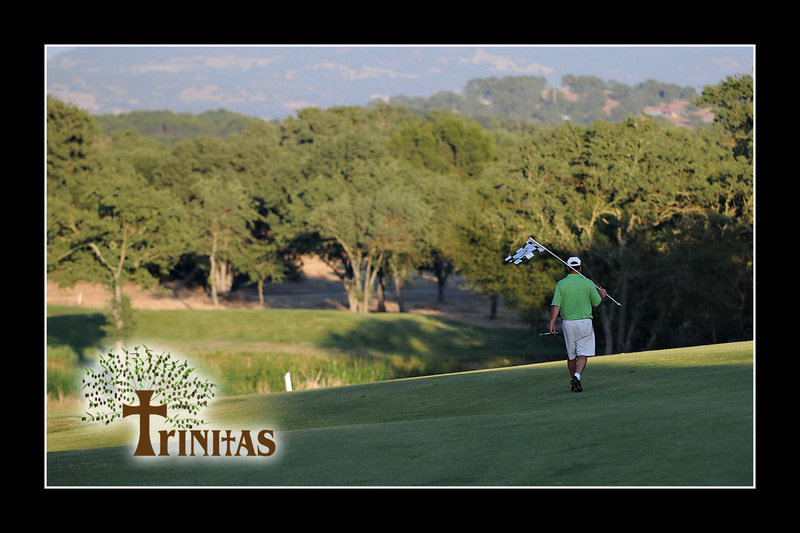 Considering everything, Trinitas truly qualified as golf’s “Field of Dream” – if you build it they will come. Trinitas was designed to be “a Player’s Course” not aimed at the casual or recreational player. 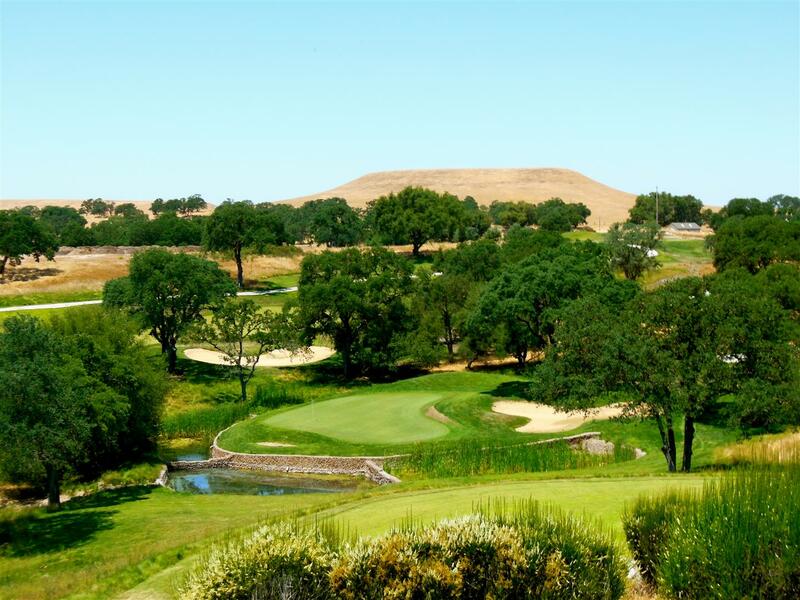 Visitors immediately identified it as a very challenging layout featuring superb playing conditions routed amidst the olive trees, native grasses, and rolling terrain that afford head-twisting vistas of the surrounding countryside not to mention the Sierra Mountains to the east. The firm, fast smooth greens, live oak, and native grasses could make scoring very difficult as Trinitas was not a course for the faint of heart. Though not a particularly long layout, it played even shorter with many elevated tees, but many a five-handicap player would score more like a fifteen their first visit or two around here. Nemee teased you with all sorts of hazards, rolls, some forced carries, small targets, and interesting angles. In other words, it was not your average course, but then neither was Trinitas your average golfing experience – but even the “average” golfers enjoyed testing themselves there! I could wax on about how the 18th hole is the most challenging finishing par-five in America if not beyond, how the quartet of par-threes is one of the very best in California, or that the par-three third is one of the best one-shotters ever among the nearly 2,600 courses I’ve been blessed to play. And then were some controversial or shall we say quirky holes. What I do know is that Trinitas was always one of the best, most fun golf experiences. The 140-yard 3rd hole is the best short par-three in America that you will never play! Trinitas initially had fancy unrealized dreams of world-class villas and a magnificent spa along with an infinity pool overlooking the 18th green. There was local political opposition to such a place and the Nemee’s had to retreat to what they understood was all the zoning would permit – a golf course and olive oil-producing orchard. Instead, what you encountered were porto-potties and a dusty parking lot. What you also encountered were lots of friendly folks to serve you and customers with smiles who were anxious to spread the good word about Trinitas. Put on hold were the dreams of a Nike Golf Camp and this upscale resort. In the meantime what Mike and Michelle Nemee had done were attract good people to help them and convey a love of the land and the game they were offering to each of their guests. Yes, it had turned into a “Field of Dreams” with golfers trekking from faraway to enjoy it. 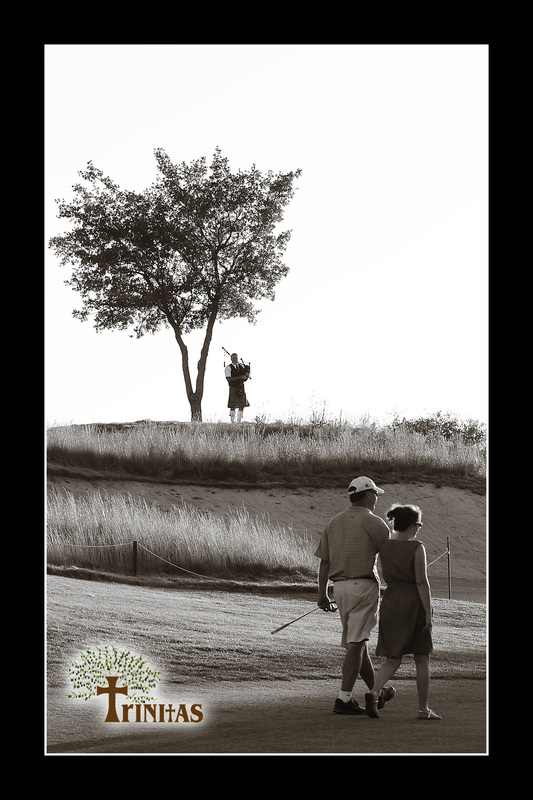 On the hot Friday evening of June 1st as a bag-pipper was playing and the sun was nearing the hills to the west, Mike and Michelle Nemee strolled arm-in-arm, tears flowing down their cheeks up to the 18th green to a continuing ovation from several dozen friends. Appreciative smiles and more tears greeted the duo that had poured their very hearts and souls into this property. So what went so horribly wrong that would cause such vehement anger toward Mike Nemee and his Trinitas project to cause it to die in fatal litigation? On the surface, the issue was Nemee not having the proper permitting, pursuing the project, and then not being able to refinance the project. A day previous to my visit, the property was sold to a farmer, the result of bankruptcy. People beyond the Nemee’s have shared with me that supervisors came into power that are very suspicious of golf and even more distrustful of growth and outsiders. They and the Nemees used agricultural zoning as the linchpin. While the County leaders interpreted agriculture in the most narrow, archaic sense of the word, the Nemee’s took the more current approach. These new leaders would deny the permitting that Nemee had been led to believe he would get while he built and operated the project on suspect assurances. Perhaps more likely is that some were angered by Nemee early on and were going to show this young “whipper-snapper” from the “outside” a lesson. Regardless, litigation has been in the background from early on as some angry public officials spent nearly half a million dollars of taxpayer’s money to destroy one of the most special ideas to come along in the region in a long time. At issue was whether a golf course and olive oil producing orchard qualified as agriculturally related. As a trained economist and a golf expert witness who for 18 years has testified in dozen of cases from North Carolina to Maui and before the Internal Revenue Service, as well as had the US Department of Justice as a client, I tell industry insiders one thing. A golf course property is actually two businesses. One part is the business of providing “fun,” which you might alternatively call “recreational service.” The other part is “pure farming or agriculture.“ That is what golf is – nothing more and nothing less. In golf, the entire infrastructure of the course is a most sophisticated farming operation. No we’re are not talking miniature golf with cement, carpets, and windmills, but growing grasses and interacting with the natural environment in a most precise and sophisticated way – and at Trinitas and many other places in a way that complements rather than competes with the natural environment. The process centers upon growing and maintaining grasses as its economic model. Trinitas like so many other golf courses was a finely tuned agricultural process – one in which its golfer customers demanded near perfection at least on its playing surfaces of tees, fairways, and putting greens. In national surveys, golfers assess the quality of these playing conditions as the number one evaluator of the quality of a golf experience. By every review, critics had assessed Trinitas’ playing conditions as remarkably good. The view from the elevated 15th tee toward the Sierra in the distance and the water, trees, sand and immaculately groomed fairway in the foreground never got old. Mike Nemee decided to leave the two trees in the hitting area, which made the hole even more fascinating! As a golf course, Trinitas was a very difficult one. A lover of trees, several of us suggested to Mike Nemee that he clear more out to make the layout a bit easier. We shared with him about how it might deter the course from being more successful as a business. More often than not, but always with a smile and twinkle in his eye, he ignored us, usually because of his love for the environment and keeping it as intact as possible. Make no mistake about it, Mike Nemee was a loyal steward of the land. Undeterred, he pressed on, and because of the beauty, conditioning of the grasses (farming), and wonderfully heartfelt service, Trinitas was indeed making it as a business. If there were several areas that Trinitas excelled, it was that as a golf course it was a harmonious offering in concert with its surroundings. Secondly the playing conditions were so attuned to what a discriminating player would want: firm, fast, smooth, and not overly watered. Thirdly, the Nemee’s and their staff did in fact serve as fantastic ambassadors for Calaveras County. People would travel far to experience the fun and challenges that were Trinitas and they encountered great service. What’s more, these golfing customers were not rich folk jetting in on noisy private jets or busloads of tourists, but rather overwhelmingly people of average means seeking some pristine rural relief playing a fun game over some beautiful countryside lovingly cared for – a great golf value. In a very genuine way, Trinitas like other good golf courses was providing some much needed relief to us with our hurried lives – maintaining human ecology if you will. In his final remarks to friends, Mike Nemee spoke of his initial dream hoping to one day have the world’s most famous golfers visit Trinitas. Sometimes in life you don’t get what you want, but something even better and Mike realized that. 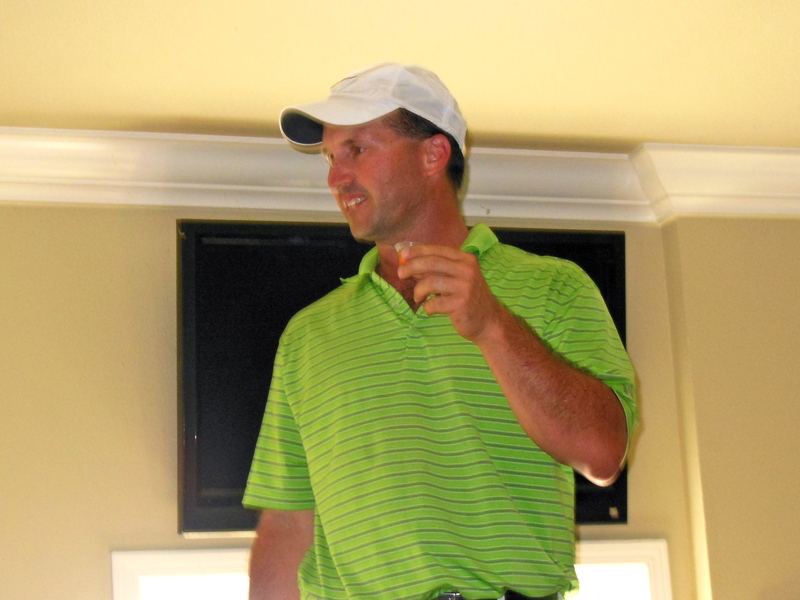 Standing on the bar and toasting his friends with tears streaming down in his cheeks, he lovingly shared that he realized that he had indeed already attracted the world’s finest golfers – good working people with great hearts who had become dear friends. His vision and industry had created so much joy for all of us who were fortunate enough to experience Trinitas during its four-year operation. As I surveyed the gorgeous landscape of Trinitas one last time with the sun setting upon it, I recounted my wonderful days with special people on the property. Then as I considered that in a month or so one would barely know a golf course ever existed, I choked back my tears. How unfortunate that cooler, wiser people did not prevail and how sad that taxpayer dollars were squandered out of fear when there were really many causes for celebration. For a few short years something magical took place on that remote 280-acre property just off of Ospital Road near Valley Springs, California. Yes, human ecology worked hand-in-hand with Mother Nature; golfers laughed, swore, and experienced the game and special camaraderie in a uniquely wonderful way there – and in a small, but very real manner life came together for us at Trinitas. Jobs were created and the Calaveras region was celebrated by all. Now all that is no more, and I cry. They say, “Nothing lasts forever.” Many join me in grieving such a needless loss so soon. Rest in peace, Trinitas; part of us died with you. And good luck Mike and Michelle Nemee, for another “field of dreams” awaits you! Someday after I am long gone, people will share a story of a magical golfing “Camelot” that for a short time existed in the rolling hills northeast of Stockton in view of the Sierra. It was a special place built by special people with a special love for the game and the land. It was also a splendid golf course that was spoken of far beyond California – a place for people to meet and play their beloved game of golf, a place where smiles mixed with trees, and birds, and animals of all sorts. A very sad and frustrating story to read, but very inspired by the Nemees, their dream, and their love of the game. Best wishes to them. It was the best farewell ever. The beauty he created will be forever missed. I was fortunate to have played the course 4 times, traveling 120 miles one way to play it and was worth every minute on the road to play such a shining jewel. i was introduced to trinitas by a friend, so i and 3 friends went up to play it.it was only about twenty five minute drive for us. i fell in love with the course the first time i played it. you could order lunch and mike would personally bring it out on the course where you were playing. 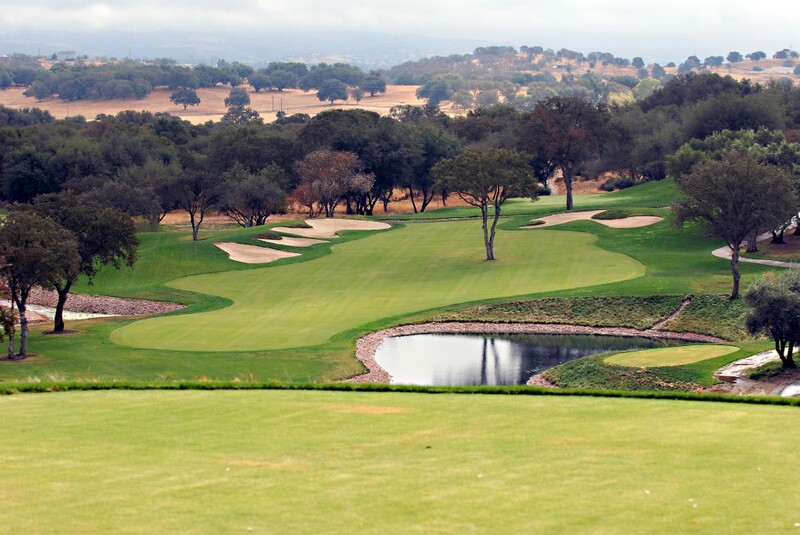 i probably played trinitas about 20 or more times before i leared it was closing.it in my opinion was the best course in northern california. i was was very sad to see it go. what a waste . my best wishes too Mike and Michelle. I played Trinitas and met Mike for the first time a week before it closed. To date it remains the most incredible course I have ever played. We were golfing right through the beautiful rolling hills and trees surrounded by natural streams, ponds, and wild animals. It was like golfing on something other than a golf course. The experience was elegantly surreal. It is hard to comprehend that small minds could allow Trinitas to fade away. Mike and Michelle, thank you for the memories. Played this course about 8-10 times. It was an incredible track. I enjoyed that you had holes you hit 8I to a spot then a 6I approach. Truly unique. You could score well on the course from the proper tees and lots of thinking. This wasn’t your grip it and rip it course. I found myself always taking some extra time playing here to make sure I thought myself through the shots and the course. My best memory is playing with a friend once and driving the 10 minutes by cart to the first tee (haha). I stopped by the 18th green to show the speed of the greens to my friend. I walked to the left edge and dropped a ball. My buddy’s jaw dropped as he watched to ball roll all 100+ feet off the green to the right. The greens were hat fast…there was quite a slope on that hole, but still it drives home the point that there was a premium on putting at this course. Which is what made it maddening. You could hit the targets to get around, but if you didn’t stick your approach shots close, you were going to have a tough round of golf. My only complaint about the course and all these articles was/is one simple fact. Certainly there was some sort of problem or attitude with the county and the neighbors. Granted. But why does nobody ever explain the bottom line on this. Why didn’t Nemee just go to the county and say I’m building a golf course on this property and want to get the permit process moving. 1st move to be made in building anything of this magnitude. The stories I have read when I lived in the area was that he built a few holes, neighbors got pissed, he said “I’m just build a few holes for my enjoyment.” Then all of a sudden there are 18 holes and if you buy a $75 bottle of olive oil you can play my private, personal golf course. Finally at the end $30-40 open to anybody that will come out. In the meantime the course is built and then go to the county and say the course is “existing?” All the bull made no sense to me. If the first step was doing it right, “I’m building a golf course where do we go from here?” Instead of the sneaky crap. I can totally understand why he got crapped on. They looked at the “young whippersnapper” and saw that he was trying to pull one over on them. So they taught him a lesson. Not right, but that’s life in the Central Valley agriculture life. So because this thing wasn’t dealt with the politically correct, dot your i’s and cross yout t’s way….the golfing community lost a gem in the end…and the Nemee’s got financially destroyed.